​"...It is true that the French have taken statues and paintings to Italy; but they have not mutilated temples to appropriate the bas-reliefs; they have simply followed the example of the Romans, who despoiled Greece of masterworks of painting and sculpture. The monuments of Athens, torn from the locations for which they were created, will not only lose their beauty in a relative sense, but they will be materially diminished. Only light reveals the delicacy of certain lines and colors: now, this light is lacking beneath English skies, these lines and colors will vanish, or remain hidden..."
The new Acropolis Museum from Mitseon Street. Voted Best Museum in the World for 2017 by TripAdvisor, the New Acropolis Museum houses priceless finds from the Acropolis monuments that represent its history, and function as the most important religious center of ancient Athens. On the ground level, the visitors can see extended remnants of the ancient city, revealed with the excavations that are displayed under the specially-made glass floor, as well as significant finds deriving from the slopes of Acropolis. 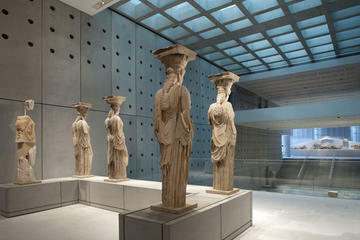 On the first level there are finds from the Acropolis during the Mycenean and Geometric era, exhibition of archaic items, architectural structures and sculptures from Propylaea, from the temple of Athena Nike and Erechtheion, as well as works dating from the late ancient period to the early Christian years. The restaurant, the Museum shop and bookstore, as well as balconies with the view of the exhibits on the main and first level as well as a digital media area are on the second level. In the Parthenon Gallery on the third level, the frieze, the metopes and the temple’s pediments are on display. The museum offers an area for occasional exhibitions and cultural events, an amphitheater, an internet hall and an information center. The new Acropolis Museum against the Acropolis. The monuments of the Acropolis have withstood the ravages of time. Foreign travelers visiting the monuments depicted the classical buildings as being intact, until the middle of the 17th century, when the Propylaea was blown up while being used as ammunition depot by the Turks. Thirty years later, the Ottoman occupation forces dismantled the neighboring Temple of Athena Nike to use its materials to strengthen the fortification of the Acropolis. The most fatal year, however, for the Acropolis, was 1687, when many of Parthenon’s architectural elements were blown into the air and fell in heaps around the Hill of the Acropolis, caused by a bomb from the Venetian forces under Morozini. Foreign visitors would search through the rubble and take fragments of the fallen sculptures as souvenirs. It was in the 19th century that Lord Elgin removed intact sculpture and architectural elements from the frieze, the metopes and the pediments of the building. The need for a new Acropolis Museum was first conceived by the Greek statesman Constantinos Karamanlis in 1976 who also selected the site, upon which the Museum was finally built, decades later. For these reasons, several architectural competitions were conducted without success. In 1989, Melina Mercouri, who, as Minister of Culture, inextricably identified her policies with the claim for the return of the Parthenon Sculpture from the British Museum, initiated an international architectural competition. The results of this competition were annulled following the discovery of a large urban settlement on the site dating from Archaic to Early Christian Athens. This discovery now needed to be integrated into the New Museum that was to be built. The entrance to the Acropolis Museum. In the year 2000, a new tender was realized in accord with the Directives of the European Union. It came to fruition with the awarding of the design award to Bernard Tschumi along with Michalis Photiadis and their associates and the completion of construction in 2007. Today, the Acropolis Museum has a total area of 25,000 square meters, with exhibition space of over 14,000 square meters, ten times more than that of the old museum on the Hill of the Acropolis. It offers all the amenities expected in a 21st century international museum. ​After crossing the ground floor lobby towards the turn styles of the Museum, the first collection lies before the visitor. An ascending wide glass-floored gallery presents finds from the slopes of the Acropolis. On the left hand side, finds from some of the key sanctuaries of the slopes are exhibited. On the right hand side, finds from the smaller sanctuaries and the settlements that developed on the slopes of the Hill are displayed. Vases from the Sanctuary of Nymphe, the relief of Telemachos, theatrical masks and the treasure of Aphrodite among others, provide an introduction to the larger sanctuaries and the ceremonies associated with them. The visitor is drawn up towards the monumental staircase at the end of the glass-floored ramp by the large architectural sculptures of the pediment of the Hekatompedon, the first large temple of the Goddess Athena on the Acropolis. ​The tour of the first-floor galleries begins at the northeast corner, where archaeological finds and a scale model make clear the significance of the Acropolis in the Mycenaean Period both as a residential area and as the seat of the local ruler. President Obama on his 2016 visit at the Acropolis Museum. ​The shift in the status of the Acropolis to an important religious center is signaled by the finds from the Geometric period. This development is consolidated in the mind of the visitor, with the viewing of the Hekatompedon pediment sculptures at close range, where a scene of a lion entwined in battle with a bull is presented. The visitor then moves to the south side of the Gallery where the richness and range of architectural sculptures, principally free-standing votives are placed. Depictions of young women (the Korai), the horse riders (the Ippeis) and many others provide a striking picture of the Acropolis in the Archaic Period. ​In the same Gallery, close to the exhibition of the Korai, the visitor is presented with the commanding sculptures of the pediment of the Ancient Temple of Athena Polias. ​For the first time, visitors to the Archaic Gallery are afforded the opportunity to view exhibits from all sides as 3-D exhibits. With the benefit of the changing natural light, visitors can discern and discover the delicate surface variations of the sculptures and select the vantage point from which to observe the exhibits. The visitor moves on to the close of the Archaic collection, with the display and narrative about the Persian disaster on the Acropolis, and is prepared for the next collection – that of the so-called Severe Style. Turning back to look at the Gallery the visitor is likely to be impressed with the beautiful view of the sculptures among the tall columns of the Archaic Gallery. The Caryatids --or Kores-- of the Erectheion. Take the stairs, escalator or elevator to reach the second floor where the Museum Restaurant operates, but where you can also have panoramic views of the Archaic Gallery and the Gallery of the Slopes below from the balconies. The rooftop Acropolis Museum restaurant. "Riders" from the Panathenaea Procession. The narrative of the story of the Panathenaic Procession is pieced together with a combination of the original blocks of the frieze and cast copies of the pieces in London. The metopes of the Parthenon are mounted in their correct order between the perimetric columns of the Gallery and the pediment sculptures, east and west, are displayed in their respective places. The descent of the visitor back to the first floor to the last gallery of the Museum, affords views of unique works that became prototypes for subsequent periods from antiquity to today. It is now possible to to see the coffered ceiling of the Propylaea and the sculptures from the parapet of the Temple of Athena Nike, and finally the Caryatids --or Kores-- of the Erectheion at close proximity on the balcony overlooking the Slopes Gallery. Reliefs of Athenian decrees, impressive portraits, Roman copies of classical masterpieces and depictions of philosophers and historical figures cover a period from 5th c. BC to 5th c. AD. The visitor then descends the monumental staircase, crossing the Gallery of the Slopes once again towards the Museum exit. Portrait of Emperor Hadrian at the Acropolis Museum. ​The Acropolis Museum honored the anniversary of the 1900 years since the ascent to the throne of Emperor Hadrian, a friend and benefactor of Athens, with the presentation of an exquisite portrait of the Emperor, and an interesting video, produced by the Museum, which showcases the Emperor’s immense building program which renewed and expanded the urban planning of Athens and signified the revival of Greek Letters and Science during the time of the Roman Empire in the 2nd c. AD. Hadrian’s work signifies the revival of Greek Letters and Science during the time of the Roman Empire. ​Hadrian is the first Roman Emperor depicted with a philosopher’s beard. His eyes are averted from life on earth and he gazes to the sky. The oak wreath crowning his head bears the emblem of Zeus, the eagle. This “political wreath” characterizes the Emperor as the savior of citizens. The portrait, dated in 130-140 AD, was found on Syngrou Avenue in 1933, and belongs to the collection of the National Archaeological Museum. We at the Athens Key recommend four hotels for you to choose from in the Acropolis Museum and the Acropolis area: AthensWas, the newest addition to the neighborhood, Divani Palace Acropolis, a sure choice strategically located, Herodion, an excellent medium-size hotel just a few hundred yards away from the Acropolis and Herodeon, and finally, Philippos, a reliable value hotel. Get a FREE PDF GUIDE of the Acropolis Museum, courtesy of the Latsis Foundation. 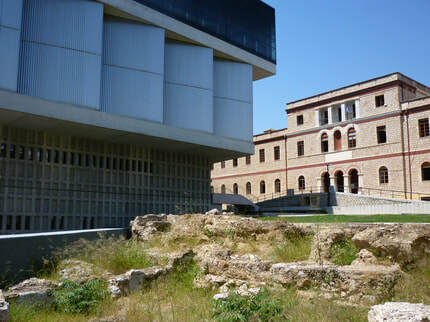 A side view of the Acropolis Museum from Makriyianni street, where the museum, the Weiller building but also on site antiquities are visible. This 3-hour walking tour of the Acropolis of Athens, includes a visit to the New Acropolis Museum. 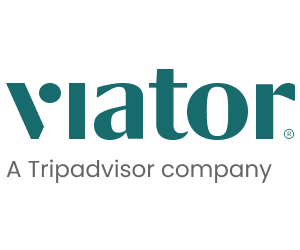 Visit the Theater of Dionyssos and Dionyssos Sanctuary, stroll past the Propylaea gateway and the Temple of Athena Nike, then stand in awe before the grand ruins of the Parthenon, looking down over Athens below. Then, follow your guide on a tour of New Acropolis Museum and learn more about the excavations as you browse more than 4,000 unearthed artifacts. Read more about Acropolis of Athens and New Acropolis Museum Tour.